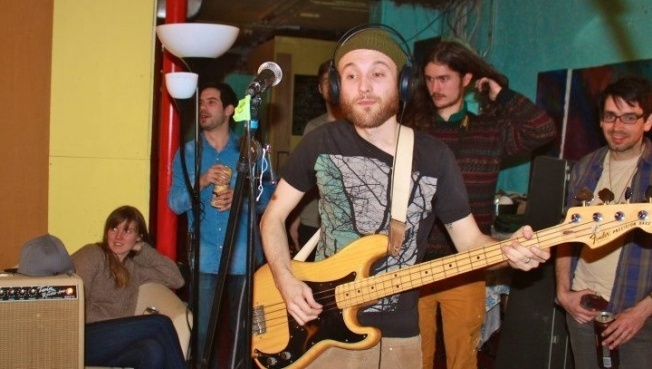 Mama Coco's Funky Kitchen is a Brooklyn-based DIY recording studio, musician's collective and record label, providing high quality, affordable production and recording. Artistic identity, integrity and personal expression are truly the highest priorities within the MCFK world of activities and undertakings, a breath of fresh air in the current state of the music industry. In the studio's first two and a half years of existence, MCFK has amassed a collective of 45+ bands, all making records within the MCFK facilities. The studio does extensive press campaigns for all the records made here, and puts on regular, bacchanalian live showcases throughout the year to promote the wide range of bands. Mama Coco’s also organizes regular community events, such as film screenings and meditation meetings. Moving forward this summer, MCFK is gearing up to release its first vinyl product, establishing the foundation of MCFK Records, which will run concurrent with the studio. For more information, visit the website. Be sure to check out Mama Coco’s Freakout #21 showcase this Friday 5/24--how can you not love a band named The Harmonica Lewinskies?! !